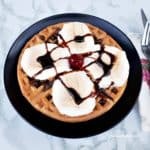 Waffle S’mores For Dessert (open-face style) ! Gooey, sweet, syrupy and so easy to make with only a few standard pantry ingredients A Couple of weeks ago, I was seriously craving a sweet treat. And the sweeter, the better ! These Waffle S’mores For Dessert did the trick and everyone loved them. Make this delicious Butterscotch S’Mores Pudding in 15 minutes on the stove top and can be served warm or cold – all everyday pantry ingredients! 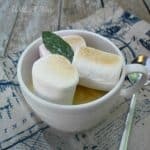 Oh, this Butterscotch S’Mores Pudding is such a quick and easy dessert and we love it served warm or cold.